FOR THE VICTIMS OF UTTRAKHAND. FROM WIFPA'S PRESIDENT Shri Sangram Shirke. SHRI CHOUDHARY (M.L.A.) DILIP DALVI (Jt. Sec. WIFPA), SANGRAM SHIRKE (President WIFPA), DHAMINDRA MEHRA (Gen, Sec. 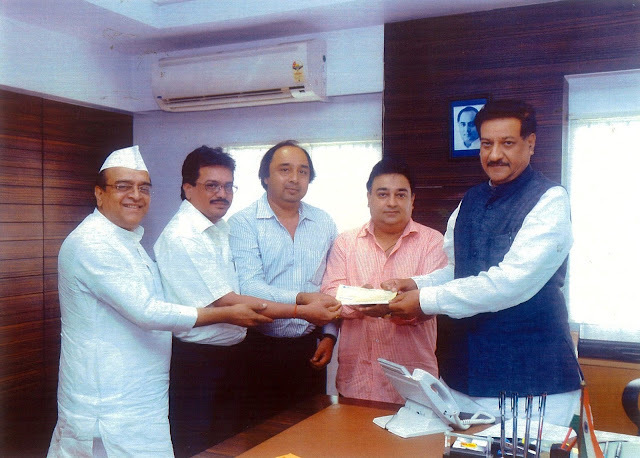 Film Makers Combine) and honorable Chief Minister of Maharashtra SHRI PRITHVIRAJ CHAVAN. 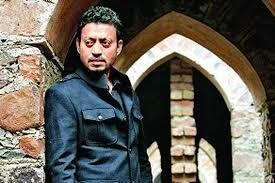 Wali Khan (Irrfan Khan) is a barber in Karachi. His family consist of his wife Nafeesa (Shriswara) and a son Kabir (Divji Handa). 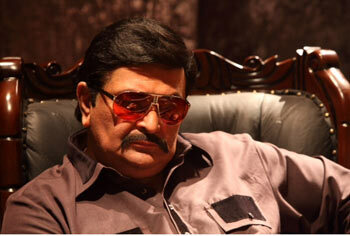 He was sent into Karachi, nine years ago from India by the Chief of RAW Ashwini Rao (Nasser) to report the activities of India’s most wanted fugitive Iqbal Seth (Rishi Kapoor). Rudrapratap Singh (Arjun Rampal), Zoya Rehman (Huma Qureshi) and Aslam (Aakash Dahiya) join Wali Khan for a mission that all but fails. The story written by Nikhil Advani, is based on the lives of RAW agents. Performance-wise, Arjun Rampal, Aakash Dahiya and Irrfan Khan are brilliant. Huma Qureshi and Shuruti Hassan put in good acts. Rishi Kapoor, Nasser, Chandan Roy Sanyal, Sandeep Kulkarni, Nissar Khan and K.K.Raina are alright. Rajpal Yadav who appears in a song, is okay. Though the script has been handled well by the director, what he did not realize perhaps because he was working from his own script was the fact that the film was too dark and bloody and therefore there could be nothing novel to be achieved using hackneyed treatment, patterns or clichés. The dialogs by Ritesh Shah and Niranjan Iyengar are average. Musically, Shankar Ehsaan Loy stays with the mood of the film. Lyricist Niranjan Iyengar’s Alvida song is good in the film. Action by Tom Struthers and John Street are passable. The cinematography by Tushar Kanti Ray is superb. Aarif Khan and Unni Krishnan’s editing is brilliant. Production values are good. Technically, the film is sound. The publicity was average. At the box office, the film has opened during Ramzan when a major chunk of the audience is away and will not succeed unless there is a huge upsurge of word of mouth publicity. Banner : Dar Motion Pictures, Emmay Entertainment Pvt. Ltd.
Labels: entertainment, Film Review, inmoviez, inmovieznews, NEW FILM, New release, Rating. WITH THE EFORT OF SIVSHENA CHITRAPAT SENA TWO DAILY NEW BEST BUS SERVICE ARE LAUNCHED FOR THE CONVENIENCE OF FILM INDUSTRY WORKERS IN THE PRESENCE OF ABHISHEK BACHCHAN, SANGRAM SHIRKE (PRESIDENT WIFPA), BALA SATAM, ADESH BANDEKAR & YOGITA DHULI and others. The music of Ugna Entertainment’s HEY BHOLENATH launched on 12th July at Raheja Classic Club, Andheri, West, veteran music director Ravindra Jain. 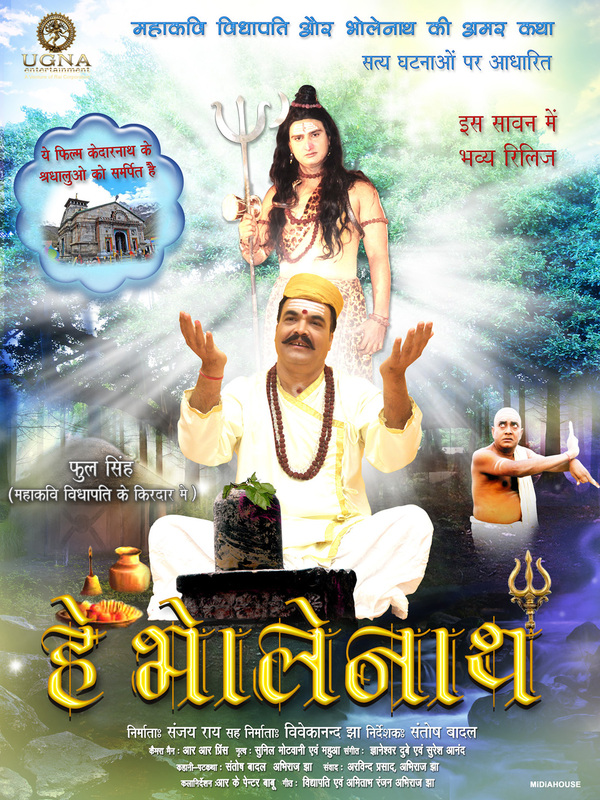 The film is based on a story of poet and saint Vidyapati and Lord Shiva. The story is about Ugna Dham of Bihar. 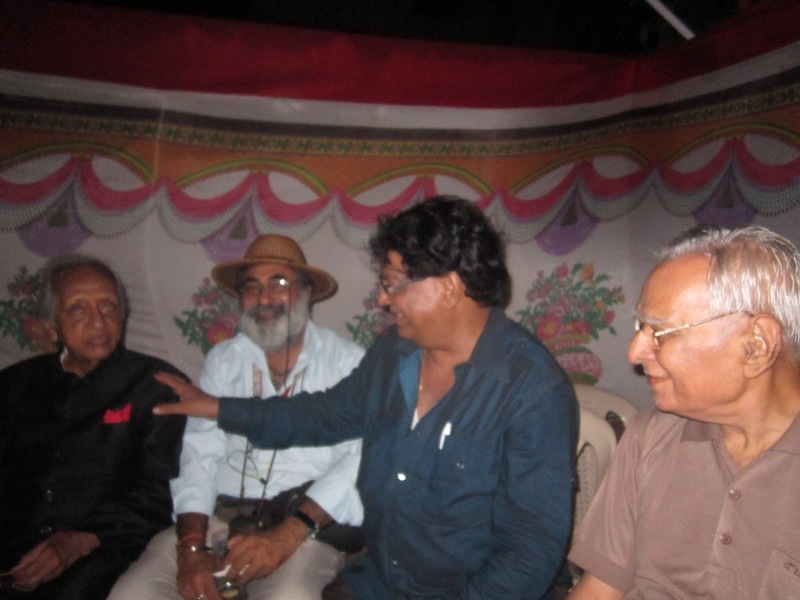 Santosh Badal directed the film for producers Phool Singh & Sanjay Roy. 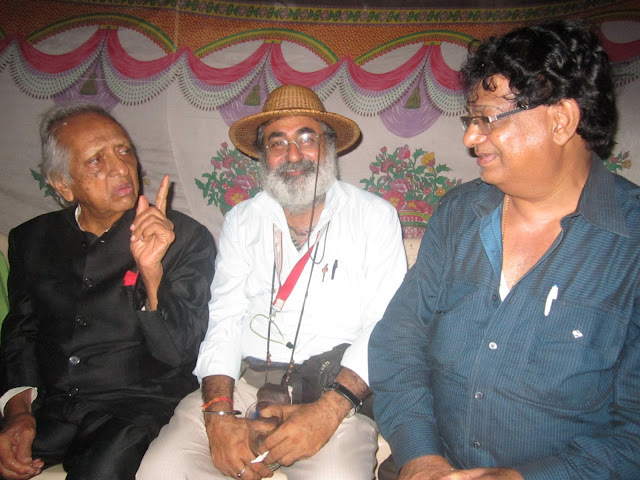 Music director Gyaneshwar Dube-Suresh Anand has recorded Amitabh Ranjan and Mahakavi Vidyapati’s lyrics in the voices of Ravindra Jain, Udit Narayan, Mamta Taje, Bhawani Shankar and their self. The film has all newcomers in every department. Phul Singh plays the role of Vidyapati. 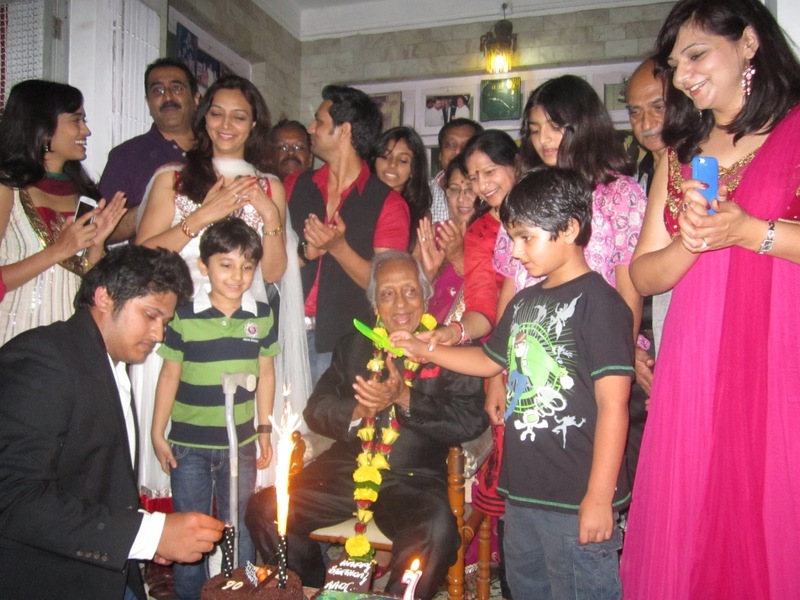 All cast-crew and many well wishers were present the event. The film is all set to hit the screen on 2nd August 2013. The producer has announced 21 percent profit from ticket sales will go to Uttrakhand relief fund. He also dedicated this film to victims of Kedarnath. Phul Singh will give 25,000 cash to needy Subhash Indori writer and Salim Bijnori lyricist who is in very bad condition. 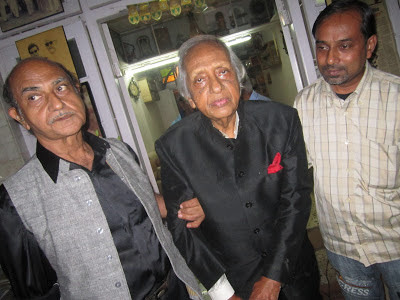 VETERAN ACTOR Mr. CHANDRA SHEKHAR'S COMPLETED 90 YEARS and entered in his age of 91. 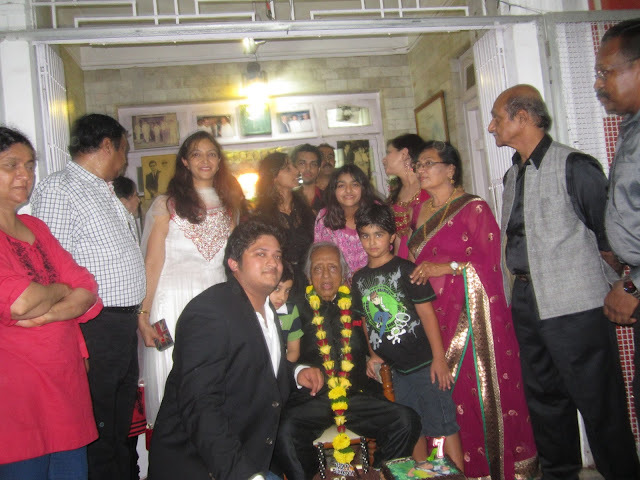 He celebrated his birth-day party at his Andheri (West) residence on Sunday, 7th July 2013. 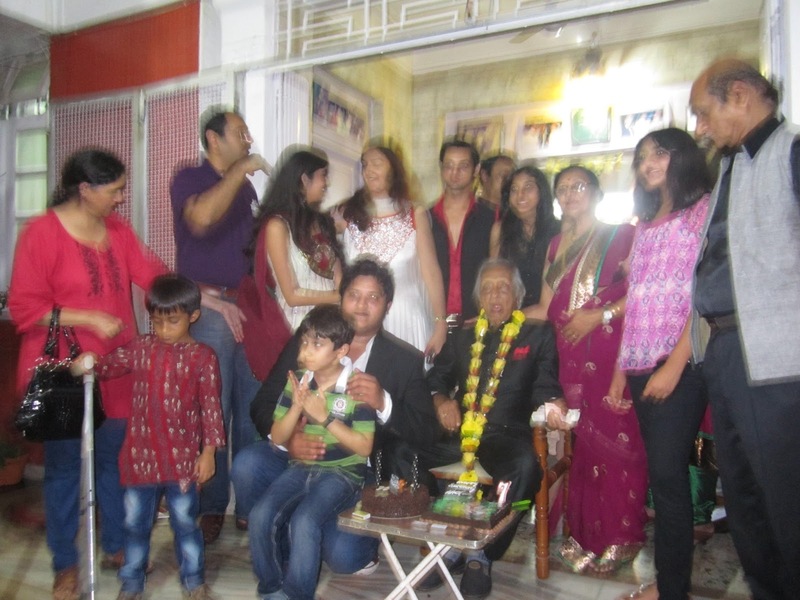 His all family members, well wishers and many media persons were present in the birth-day bash. at Novotel Hotel, Juhu in the attendance of Jacqueline Fernandez, debutante Girish Kumar and his father, producer Kumar S. Taurani. The film has Shruti Hassan as the female lead. Jacqueline makes a special appearance only in this item number along with Prabhu Dheva and Girish Kumar. On the demand Jacqueline performed dance on the stage and Girish Kumar also joined to her. The lyricist Priya Panchal told that the song is inspires from the line popularized by Sanjay Dutt in the MUNNA BHAI M.B.B.S. series. Sachin-Jigar has given the music. The film is releasing on 19th July. Deepika padukone, Shah Rukh Khan, Ronnie Screwvala, Bhushan Kumar, Rohit Shetty, hekhar (of Vishal-Shekhar), SRK’s special guest Priya Mani and all singers of the film. The media person were given a whistle and Lungi the traditional attire of south Indians. The music launch also had performances by dancers and SRK, who has injured by shoulder, grooved with them. The film is slated for 8th August release. In 1953, an archaeologist Varun Shrivastav (Ranveer Singh) arrives in Manikpur and he meets the local landlord Soumitra Rai Chaudhury (Barun Chanda). Varun impresses the Soumitra and his daughter Pakhi (Sonakshi Sinha). There is a romance between Varun and Pakhi, but Varun must move on. Varun disappears. Pakhi struggles to move on with her life. When they meet again, they are still in love. When Varun realizes that Pakhi will die soon, he comes up with a plan to sacrifice his life to save Pakhi. The story is inspired from O. Henry’s THE LAST LEAF. Vikramaditya Motwane has made modifications to the story in his screenplay. Anurag Kashyap and Bhavani Iyer have written good dialogues for the characters. Performance-wise, Ranveer Singh and Sonakshi Sinha are first rate. Barun Chanda and Vikrant Massey are good. Arif Zakaria, Adil Hussain and Shirine Guha are brilliant. Divya Dutta is super in a cameo. Director Vikramaditya Motwane meticulously paints the picture of a yesteryear romance and manages to extract the best out of his actors. The music by Amit Trivedi is good. The cinematography by Mahendra J. Shetty is fair. Production values are good. Technically sound. The publicity was good. At the box office, the film is targeted at the multiplex audiences and is expected to pick up bu word of mouth over the weekend. Super star of Punjabi films Gippy Grewal has been signed to play title role in Punjabi film ''Jatt James Bond''. The film is to be produced under the banners of Fortune House Productions Inc. (Canada) in association with Gurdeep Dhillon Films and the producers of the film are Mukesh Sharma and Gurdeep Dhillon. Rohit Jugraj is the director and Ratan Aulakh is executive producer of the film. The other cast and credits of the film is under finalisation and it will mount the sets in the month of Oct. 2013. 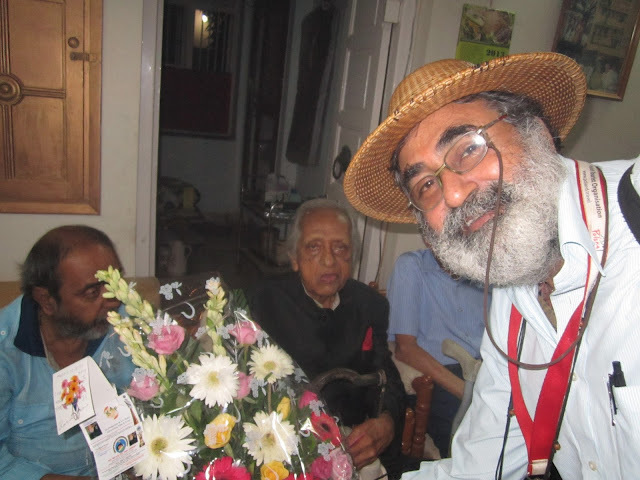 King of Ghazals Talat Aziz said, “It was a great moment to be present here and to launch the music. As the movie is made for youth the music also has all ingredients for youth." Anshuman Jha and Arya Kumar were enjoying the music in the party, Dhruv Ganesh and Manisha Kelkar were seen enjoying the song. The point to be noted The film's director and music director were not present in the event.